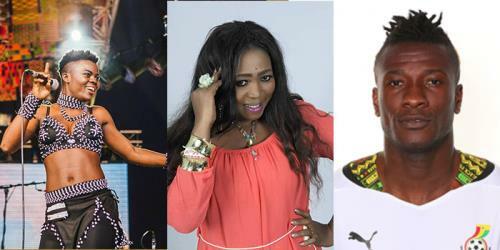 Wiyaala, Grace Ashy and Asamoah Gyan are to collaborate on the Women’s 2018 Cup of Nations song for the tournament which will be hosted in Ghana in November this year. The 11th edition of the Women’s Africa Cup of Nations was launched in Accra last Friday at the Alisa Hotel with the Chief of Staff of the Republic of Ghana , Hon. Akosua Frema Opare as the special guest of honour. Also in attendance were members of the Local Organising Committee, Minister for Youth and Sports and other government officials, CAF officials and the Black Queens squad. Liberia’s First Lady Clar Weah, who has been appointed CAF women’s football ambassador was also present. The 2018 Women’s AFCON will run from 17 November to 1 December and will be hosted in Accra and Cape Coast.